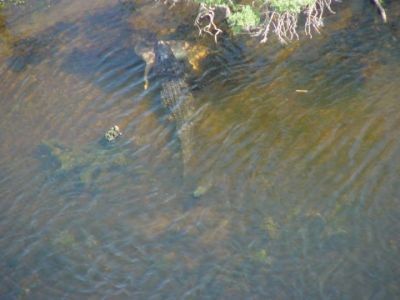 Bushtracker Forum :: View topic - CROCS DON'T GO OVERLAND, DON'T WORRY IN YOUR TENT..
CROCS DON'T GO OVERLAND, DON'T WORRY IN YOUR TENT..
Posted: Mon Jun 22, 2009 12:42 pm Post subject: CROCS DON'T GO OVERLAND, DON'T WORRY IN YOUR TENT..
Yea, up north, worry in a tent for sure..
Judging from the road, he is probably 16-18 feet long. WHAT A LIZARD..
From hunting in Florida where I have found gators in 10 metre water holes, to Game Patrol in Africa where I have stumbled on a large crocodile in only about a 20 meter "billabong", I am here to tell you that you find crocs and gators in transit in the smallest of waterholes, FAR FAR from the big water... They don't live there, they are just "passing through".. I reckon that the 'tusks' are actually a bent-over roadside marker! Heavens- They don't get that big in Florida surely. Alligators there in Florida aren't they? 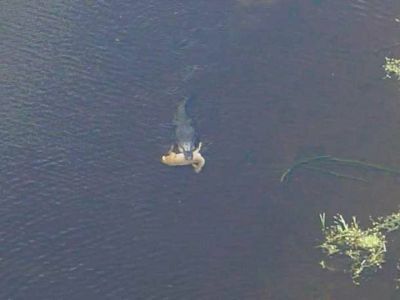 This is a Florida Alligator with a full sized Stag deer in its mouth, swimming.. Probably the same croc that had worked out a good method for a potential feed. In Botswana we have seen old dead logs partly submerged in the rapidly drying waterhole that were down to boggy mud level suddenly come to life and seize a springbok that was pawing for water. They can be very bad news - and the most dangerous ones are those that you cannot see! Posted: Thu Mar 21, 2019 3:22 am Post subject: CROCS DON'T GO OVERLAND, DON'T WORRY IN YOUR TENT..
My first post here it goes! I worked with a croc attack victim (JP) a couple of years ago. His story which he backed up with newspaper articles, he showed me from about 15 years ago. He and his family had lived about 3 hours drive south of Darwin in the bush, and they had lived there for over ten years, so his father were very knowledgeable of where he deemed safe for his kids to swim. JP was about 11 y.o. when he was grabbed by a 4 M salty at the edge of a billabong, while standing playing in about knee deep water with 2 of his brothers either side of him. His Dad had deemed the billabong 'safe' as it was over 300 kms to the nearest salt water creek or river. His Dad was standing right behind JP just out of the water, and the instant the croc grabbed JP's leg, his Dad grabbed JP by an arm and had a tug of war with the salty, over who was gonna keep JP for a second or two. JP tells me (as his mind had shut down all memory of the attack after he saw the large bow wave coming at him and his brothers) from his Dad (with probably a truck load of adrenaline) that the only reason his Dad won the tug of war, was the croc was feeling a bit greedy and wanted all of him, not just his leg that the croc was rapidly separating from his body. 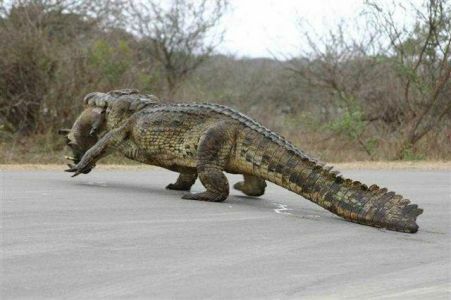 The croc tried to adjust his grip from longitudinally down one leg to across both his legs. In that split second his Dad managed to rip JP from the jaws of certain death, out on to the bank. His brothers and his Dad, and JP, in that split second had enough time it seems to get away far enough for the croc, not to re-attack up the bank? Very lucky again? Unfortunately JP had suffered horrendous puncture/tearing injuries to his whole leg including multiple breaks in his leg bones, and was going to bleed out very quickly. So he yelled at his 15 year old brother to drive FAST to Darwin hospital about 3 hours at normal road speeds, while he held JP's leg together with tourniquets and pressure to stop him bleeding out and dying from shock. They actually made it and he spent months in hospital recovering from numerous operations to get his leg functioning as normal as possible. His parents were requested to sign auth forms on about 3 different days about a week after arriving at the hospital to amputate the whole leg due to the gang green that had set in from the bacteria of the bite, that the hospital was having trouble fighting with drugs, it come down to his life or his leg. 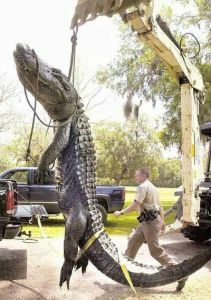 The police/game wardens went out the next day to the billabong to remove the croc, but he was long gone wandering on to the next billabong during the dry season. He recovered fully with full use of his leg to be able to run really fast from any subsequent hungry crocs! Other than a leg with some bad scarring that looked like he had been in a bad car accident, he was fine. How he held it together mentally was amazing, as he was quite normal as well! It's amazing how the brain shuts out bad memories as he did not remember seeing the croc at all even though it was out of the water chewing on his leg, if only for a split second?? When I saw his leg at work social gathering at a beach, while he was wearing boardies, I curiously asked if he had been in a car accident, he replied "nah a 4 M croc did this" I thought he was taking the piss, as I thought if a 4 M croc had grabbed him, especially as kid, he would of certainly been toast!!!! 3. Be very afraid entering any water north of the tropic of Capricorn. (And yep I don't trust dedicated swimming holes either) I have another personal chilling story on them.